Before she was murdered, Mary Westmacott had become increasingly concerned for her safety and state of mind. 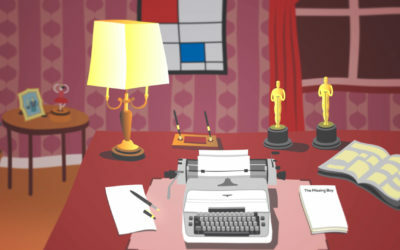 In her letter to Holmes she describes how, one night, she was woken by the sound of someone working at her typewriter but when she got downstairs there was nothing to be found except three words on the page: ‘Where’s My Story?’ The precise meaning of these words is ambiguous but they seem to hint at an accusation of plagiarism: in producing her script for the film about the missing boy, has Mary stolen someone else’s ideas or story? This Case File #18 considers the similarities and differences between plagiarism and copyright infringement, two concepts that are often discussed as if they were one and the same. Plagiarism occurs when you present someone else’s thoughts, ideas or expression as if they were your own, without properly attributing the original author of the work. 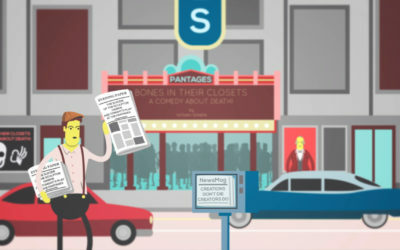 Copyright infringement occurs when you make use of an author’s copyright work, without their permission, in a way that is expressly prohibited by law. People often discuss plagiarism and copyright infringement as if they were one and the same thing, but that is misleading. It is true that both plagiarism and copyright infringement concern inappropriate copying but it is important not to confuse the two concepts. Plagiarism can occur without infringing copyright, just as someone can infringe copyright without plagiarising the original author’s work. At the same time, if someone copies your work and then presents it as if it was their own they may be guilty of both plagiarism and copyright infringement. Everything will depend on the facts and circumstances of each particular case. One of the main differences between these two concepts is that plagiarism always involves one person attempting to present someone else’s thoughts, ideas or expressions as if they were their own original work. That is, the copier claims to be the original author of those ideas or that work. By contrast, many people infringe copyright without ever claiming to be the author of the work they are copying. For example, if you download a film or an ebook from an unauthorised website rather than accessing that content legally online you are infringing copyright in that work. But this has absolutely nothing to do with plagiarism. By unlawfully downloading the work you are not claiming to be the author of that work. Also, whereas copyright infringement might result in someone taking or threatening to take legal action against you, an accusation of plagiarism rarely gives rise to litigation. In short, we might say that while plagiarism is unethical or is a moral wrong, copyright infringement is a legal wrong. 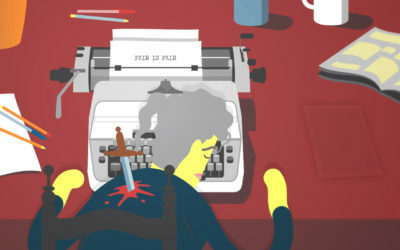 Imagine you have created an original poem, picture or story, and that someone copies your idea to create their own work. Why might this be plagiarism but not copyright infringement? A basic principle of copyright law is that copyright does not protect ideas, only the way in which those ideas have been expressed by the author of a work. For this reason, while copying someone’s ideas without properly acknowledging the source may be regarded as plagiarism, it will not necessarily amount to copyright infringement. That is, if the plagiarist copies ideas but not the way in which you expressed your ideas – for example, by using your actual words – then they are not infringing copyright. So, from a copyright perspective, ideas are free to be used and reused. But you should always be careful to acknowledge the source of your ideas whenever appropriate. Nobody wants to be accused of being a plagiarist! Imagine that someone has copied both the ideas and exact expression of another author’s work. For example, they might have copied another person’s poem and they are trying to pass it off as their own work, whether to their friends and family, to their teacher or classmates, or to the wider world. This is plagiarism. But is it also copyright infringement? Whether copyright in the poem is infringed will depend, among other things, on whether the original work is still in copyright or not. For example, imagine the work was first written by one of the many poets who died during the First World War: Julian Grenfell (1888 –1915), John McCrea (1872 – 1918) or Wilfrid Owen (1893 – 1918). Their work is no longer in copyright; it is now in the public domain. So, from a copyright perspective, everyone is free to copy these poems without the need for permission. Just don’t be tempted to pretend that you have written any of these works yourself, or any other work that is in the public domain. Nobody wants to be accused of being a plagiarist! 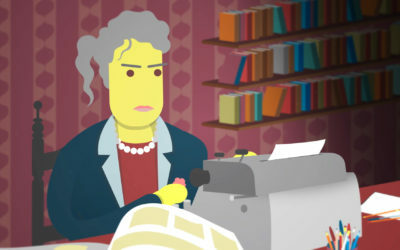 Many famous writers, musicians, journalists and politicians have been accused of plagiarism. Some accusations turn out to be true, but not every allegation of plagiarism is well-founded or fair. Adrian Jacobs was a children’s author who died in 1997. In 2004 those responsible for managing his literary estate claimed that the plot of J.K. Rowling’s novel Harry Potter and the Goblet of Fire bore a number of similarities to a book first published by Jacobs in 1987: The Adventures of Willy the Wizard. Ultimately, the case against Rowling was dismissed by the UK courts. The literary estate also attempted to sue Rowling in a number of other countries, such as Australia and the US, but in each case they were unsuccessful. Kaavya Viswanathan, a young American author, published her first book – How Opal Mehta Got Kissed, Got Wild, and Got a Life – in 2006, just as she was beginning her studies as an undergraduate student at Harvard University. Soon after, allegations of plagiarism began to emerge, and it transpired that portions of the Viswanathan’s book had relied on a number of other sources, including two books by Megan McCafferty – Sloppy Firsts (2001) and Second Helpings (2003) – as well as works by Salman Rushdie, Sophie Kinsella and Meg Cabot. The publisher recalled and destroyed all copies of Opal Mehta and cancelled their contract with Viswanathan for a second book. Cryptomnesia is a term that describes the phenomenon of having a thought that we think is original when in fact it is no more than a memory. In other words, it helps to explain what is often referred to as unconscious plagiarism. That is, sometimes we are not always aware that we are copying someone else’s work: sometimes we copy unconsciously. The claimants were the authors of a book published in 1982, The Holy Blood and the Holy Grail. They alleged that Dan Brown had infringed their copyright by incorporating a substantial part of their work within six chapters of The Da Vinci Code, Brown’s blockbuster thriller first published in 2003. Mr Brown’s publisher disagreed. If Mr Brown copied anything, they argued, he simply copied information, facts and ideas from The Holy Blood and the Holy Grail, rather than the way in which the authors had expressed their ideas. The case was settled in favour of Mr Brown. In the Court of Appeal, Lord Justice Mummery commented that the material alleged to have been copied from the claimants’ book was simply an assortment of historical fact and information, events, incidents, theories and arguments: this was raw research material and nothing more. The claimants were not entitled to rely on copyright law to ‘monopolise historical research or knowledge and prevent the legitimate use of historical and biographical material’. No copyright infringement had occurred. When the final decision of the Court of Appeal was handed down, the case was widely reported in the press as a case about plagiarism. But is it really about plagiarism? Or was it simply a case about copyright infringement? Or is it about both plagiarism and copyright infringement? Is it okay to copy information, facts and ideas from someone else’s work? During the 2016 US presidential election, Melania Trump, wife of the Republican candidate Donald Trump, gave a campaign speech that appeared to borrow from a speech given by Michelle Obama at the 2008 Democratic Convention. The relevant extracts from each speech are set out in the table below. You can also view clips from each speech here. And Barack and I were raised with so many of the same values: that you work hard for what you want in life; that your word is your bond and you do what you say you’re going to do; that you treat people with dignity and respect, even if you don’t know them, and even if you don’t agree with them. From a young age, my parents impressed on me the values that you work hard for what you want in life, that your word is your bond and you do what you say and keep your promise, that you treat people with respect. They taught and showed me values and morals in their daily lives. That is the lesson that I continue to pass on to our son. And Barack and I set out to build lives guided by these values, and pass them on to the next generation. And we need to pass those lessons on to the many generations to follow. Because we want our children – and all children in this nation – to know that the only limit to the height of your achievements is the reach of your dreams and your willingness to work for them. Because we want our children in this nation to know that the only limit to your achievements is the strength of your dreams and your willingness to work for them. Following the speech, and various allegations of plagiarism, the Trump campaign released a statement that Melania Trump’s speech ‘in some instances included fragments’ from the earlier speech that reflected Melania’s own thoughts. It seems clear that copying did occur. But does it constitute plagiarism? Does it constitute copyright infringement? In considering these questions, it might help to search online for more information and commentary about this incident. Download the PDF version of Case File #18 – The Purloined Letters. The missing manuscript is the original script written by Mary and commissioned by Money Tree Productions. The term ‘original’ has different meanings depending on the context. Mary accepts a commission to write ‘an original script’ for ‘a film about a missing boy,’ not just for the ‘intriguing premise’ but also because ‘for once the contract terms were great; a dream job that would pay the bills for many years’. 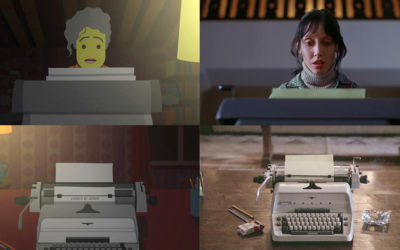 The design of the typewriter that Mary uses to write her scripts was inspired by Jack Torrance’s typewriter in Stanley Kubrick’s The Shining. Famously, Kubrick’s The Shining is a film adaptation of Stephen King’s novel with the same title. 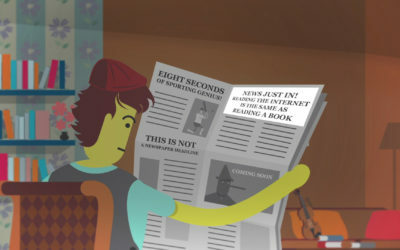 As Watson enters the room we see Sherlock reading a newspaper. On one page, the headline reads: ‘Eight Seconds of Sporting Genius!’ The choice of headline was intentional…. The headline ‘News Just In! 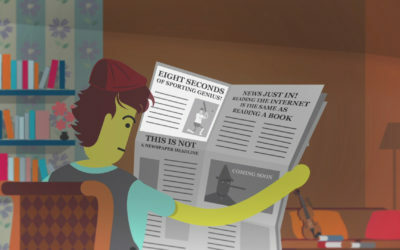 Reading the internet is the same as reading a book’ refers to a copyright case in which the courts were asked to consider whether simply reading material online might infringe copyright. Mary’s problems began when she ‘started fleshing out the main character: the hero-detective’. 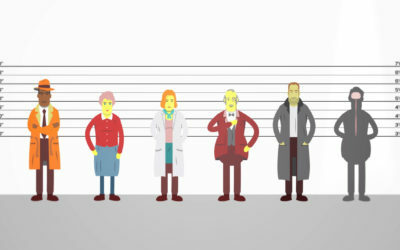 Before settling on one and starting seeing the others everywhere, she considered six potential protagonists for her story.